This piece is the numbers 0-9 made to be placed in front of a house as if they were house numbers. 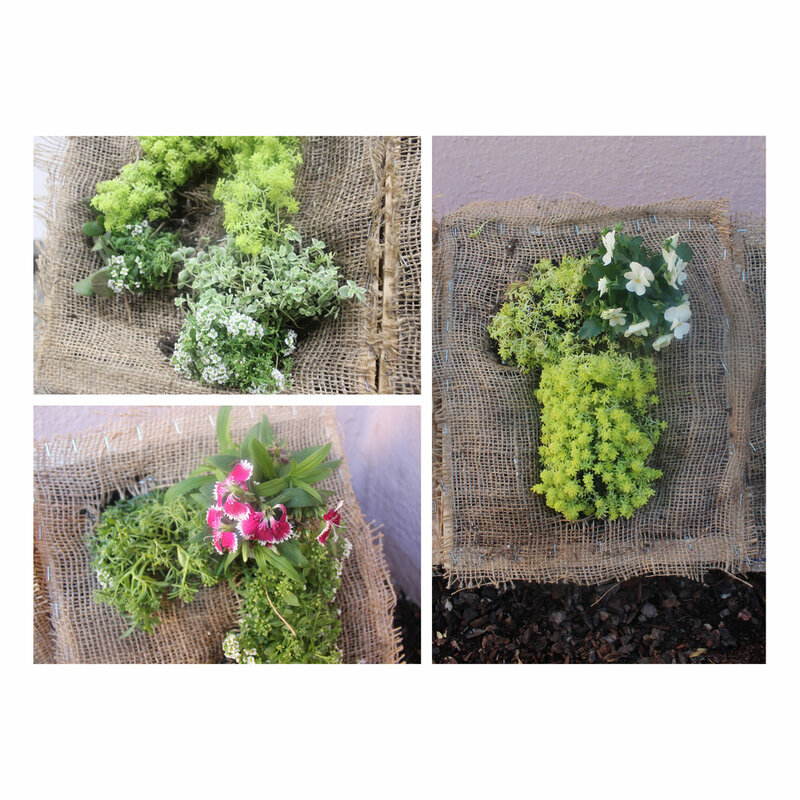 I found 10 wooden pallet crates, lined the inside with burlap, filled it with soil, cut a number out or another layer of burlap, stapled the burlap on top of the box on the bottom, planted an assortment of plants in the shape of the number, and then closed the burlap on top of and around the plants. For some numbers, I used wire to keep the flowers upright when the boxes were standing straight. 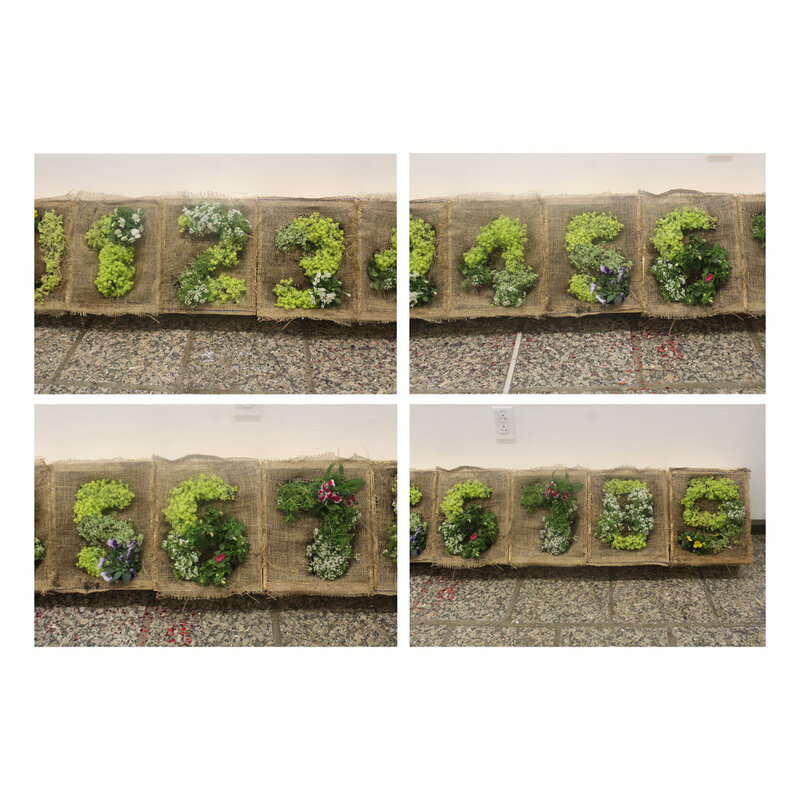 The numbers are currently on display in Roski’s Lindhurt Gallery show “House Work” where I have returned to water them and put indoor plant lights on them. I am currently documenting their wilting in the gallery as well.